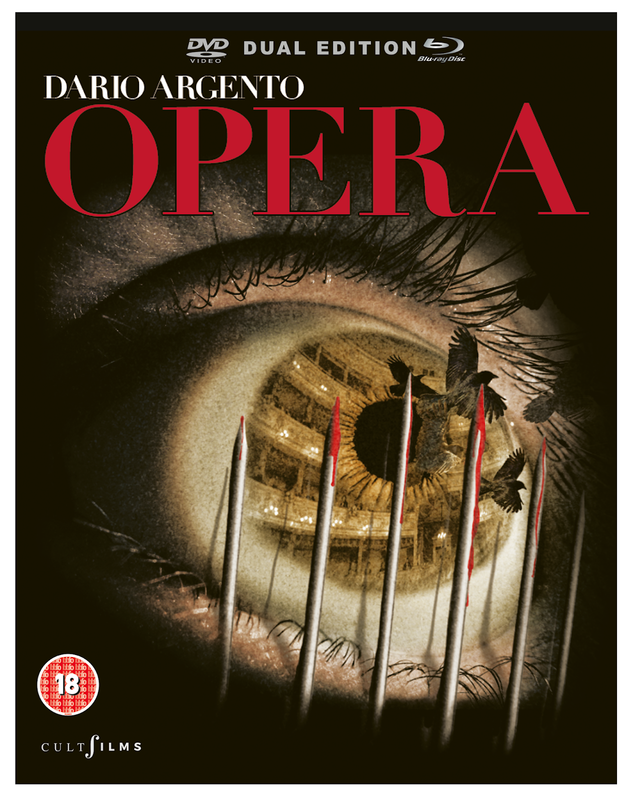 Dario Argento (SUSPIRIA) returns to CultFilms with this breath-taking new restoration of his visionary horror masterpiece OPERA being released on Blu-ray in the U.K. for the first time ever! Splattered with stylistic bloodshed and soaring cinematography, OPERA shows Italy's master of horror at the very height of his game. When young understudy Betty takes the lead role in a new operatic production of Verdi's Macbeth, she soon attracts the attention of a knife-wielding psycho who forces her to watch - with eyes pinned open - as he brutally despatches her friends and colleagues with sadistic delight. Can Betty free herself from this unending nightmare or does a more terrifying fate await? 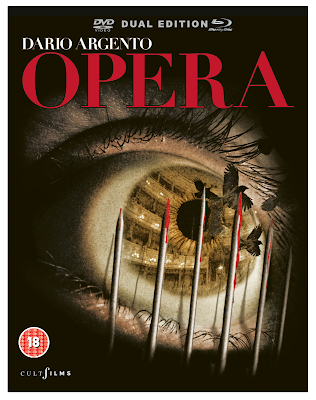 OPERA is a ravishing return to the giallo style Argento made his name with, awash with black-gloved killers, lavish bloodletting and the director's expressionistic Grand Guignol excess. OPERA will be available to buy in the shops from 21st January 2019.